August 20, 2014. Boston, MA. Residents Call for Governor Patrick to Sign An Executive Order on Environmental Justice. 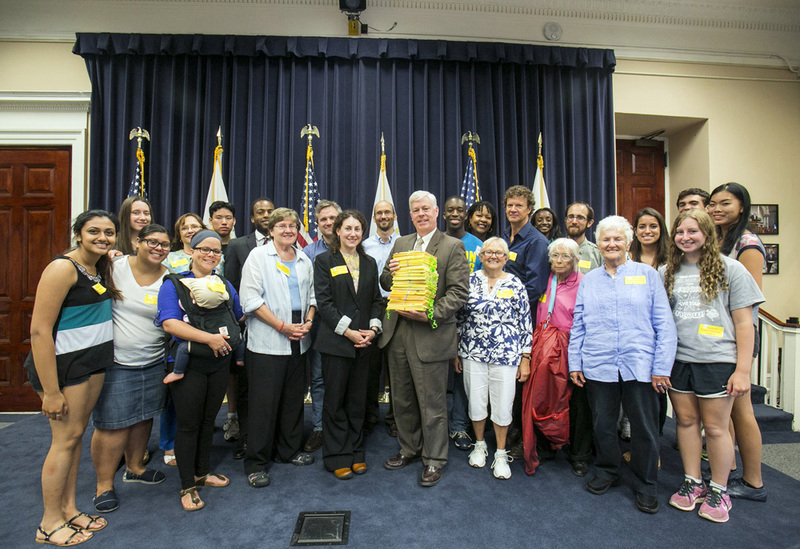 Today, residents from across Massachusetts delivered nearly 1,700 postcards to Governor Deval Patrick asking him to sign an executive order on environmental justice into law that would direct all executive agencies to devote resources to protect the health, safety and environment for the most vulnerable residents of the Commonwealth. Environmental justice is the equal protection and meaningful involvement of all people with respect to the development, implementation, and enforcement of environmental laws, regulations, and policies, and the equitable distribution of environmental benefits and burdens.